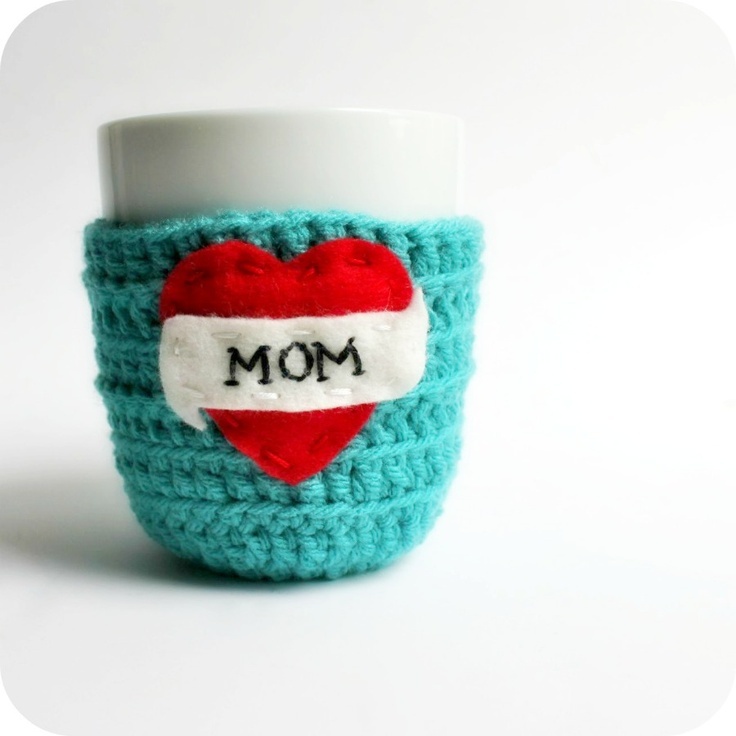 I have an obsession with mug cozies at the moment. Odd, as we are finally heading towards some warmer weather. 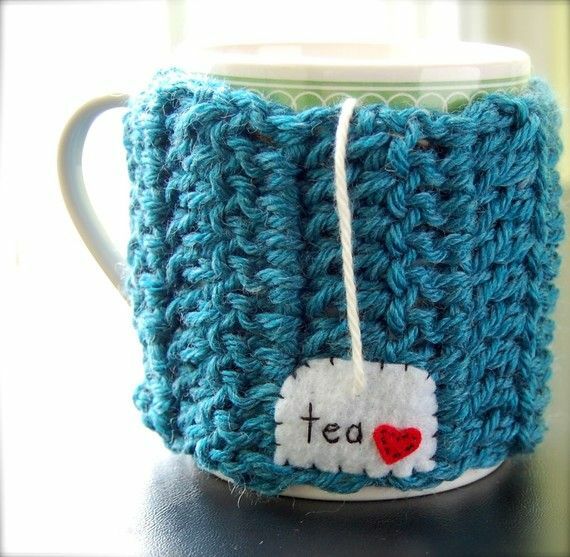 But, as my husband reminds me, this is a great idea as I never finish a cup of tea in one sitting. It’s nothing for me to microwave my forgotten tea three times before finally abandoning it. What I would to do be able to sit and savour a cup of hot, milky sweet English breakfast tea…. This one rocks my world. I just love the sailor tattoo style. I’m part-way through making something similar, completely coincidentally! 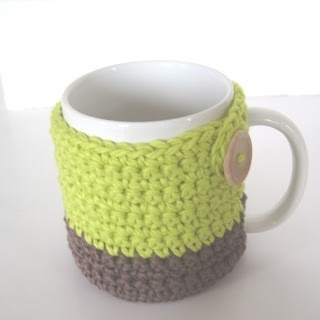 This entry was posted in Pinterest and tagged coffee, cozy, crochet, handmade, mug, pinspiration, pinterest, tea. Bookmark the permalink. I will! Thanks for the idea and inspiration to do it – have even got some lovely buttons I could use! I would use these and I’m slightly obsessed by them too! I do not crochet but knit (very, very badly) and wish I could make one of these. The designs you have are beautiful! I am inspired to have a go at knitting one! Oooh, you should! 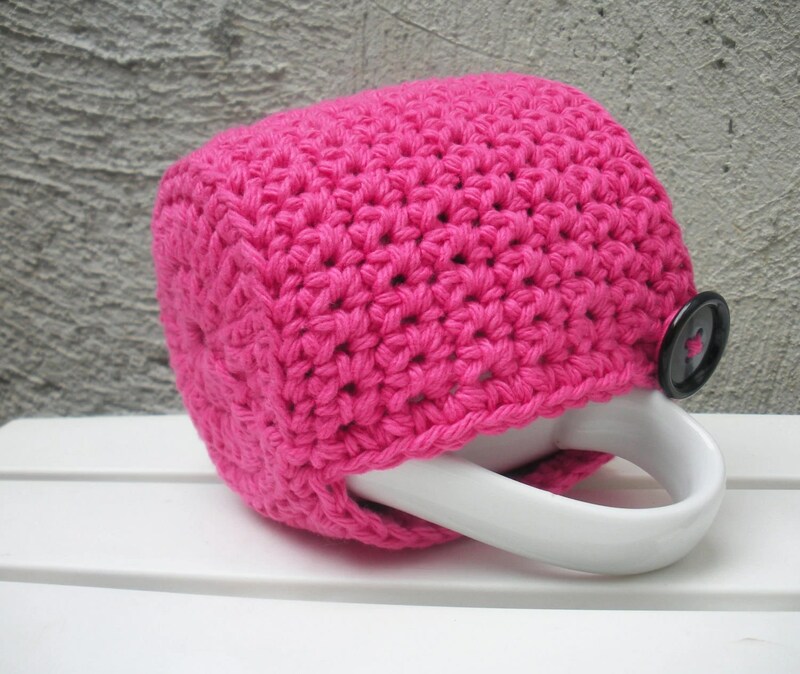 So many cool ideas for knitted cozies going through my mind (and I can’t knit to save myself). I will do it! 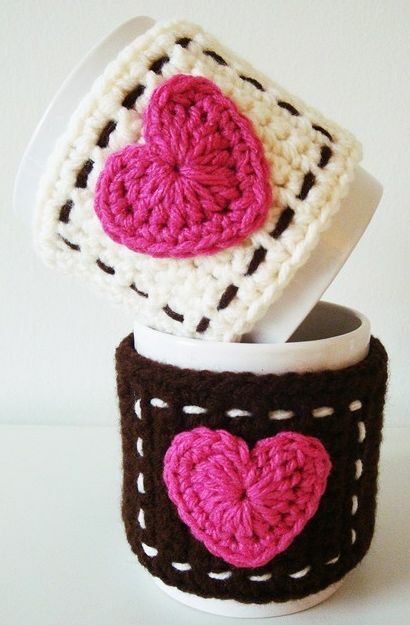 The weather here is awful so it is a day to knit and have a go at a mug cozy! Awesome, please share a pic when you’re done! I’m actually planning to use them as the basis of a workshop that I’m planning. A great simple project that combines a few different stitches and techniques without taking days to put together. I hope you don’t mind, but I have followed your cosy board too! There are some great designs here. Love the hearts.